Sweetheart's official photographer has a problem. The boudoir photos Carrie Logan used to do, long ago and far away, have come back to haunt her. So she turns to Ethan Nash, the mysteriously gorgeous guy with big dogs and a bad attitude, for help containing this secret and the scandal it will cause. An awesome addition to the Cherry Lake series! I love this author's writing style and the way she entwines the animals into the story. In this one Ethan Nash has lived in Cherry Lake for four years but has always held himself back and never really gotten to know any of the people in town. He meets Carrie Logan when she has an internet security breach to her website that could have devastating and embarrassing repercussions to her business and personally. As they work on her problem and spend time together, sparks fly! This is a great afternoon read and I highly recommend it. 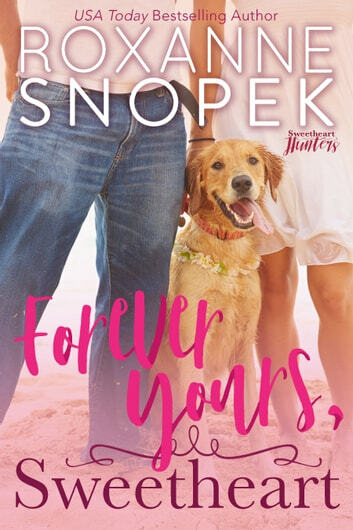 Her Secret Protector by Roxanne Snopek proves secrets never stay secret and love can be found at the most unexpected time! Small town judgment and dysfunction play a big role in Her Secret Protector...Harmless boudoir photos are suddenly causing way too many problems! For me this was a big part of the plot...as big as the romantic journey of Ethan and Carrie. Roxanne made Cherry Lake and the people there feel very real, but not a place I'd like to be. I didn't really care for the judgmental, non-forgiving attitude of a lot of the residents there. The made Her Secret Protector good because I felt like I was right there in the midst of things a lot of the time! It also made me feel like a big deal was being made out of nothing though, and that was frustrating. Ethan and Carrie are unique main characters, each with their own secrets they are both trying to run from and trying to hide. Ethan is very much a mystery man for much of the story, and it was much more difficult to get to know him. There were parts of Carrie's background I felt I would have liked to understand better so that I could better understand where she is today. Carrie was easier to get to know. The attraction that Ethan and Carrie have for each other is immediately obvious, even when Carrie is a little nervous when she first meets him. I liked the way their relationship grew and the little bumps along the way. I enjoyed watching these two characters grow and become more accepting of themselves through out the book. Carrie's family dynamics add a very interesting thread to the plot, and I liked how this family carries over from book to book in this series, but all in their separate ways. We learn a little bit more about them each time. Although a lot of Cherry Lake irritated me as I read, Roxanne did a good job of bringing the hidden gems and goodness to light of a small town also. Her Secret Protector is part of the Secrets of Cherry Lake series. Roxanne ties it in nicely with the previous books without making you feel like you're missing something if you haven't read those. Well paced and easy to fall into the story of Carrie and Ethan, I'd recommend Her Secret Protector to any romance reader looking for a quick, quirky read! Great novel. Well written with lots of love and suspense. Actually, this is the second time I have read it, and enjoyed it just as much this time. A great addition to Secrets of Cherry Lake. Everyone has secrets in Cherry Lake. This is the story of Carrie, photographer who in the beginning of her career did some glamour shots that she did not want the community to know about, but somehow a hacker got into her account. She seeks help from newcomer, Ethan, a cyber specialist to help her out. Ethan has secrets of his own, too. They both turn to each other to help better them selves with the community. I loved the characters and how they related to each other. True to her trademark, Roxanne has her furry friends involved in the story line. Oh, how I loved them, so true that animals can bring people together. A very heart warming story of finding yourself again. I highly recommend this story, along with the rest of the Secrets of Cherry Lake. I received this book from netgalley for an honest review. It’s hard to care about characters who try so hard to fit narrow roles defined by small minded neighbours and family in a hypocritical judgemental ‘sweet small town’.